Consumers in the United States who have not yet tried an HTC phone have another reason to consider HTC now. On Tuesday HTC announced a new program called HTC Advantage, an industry first that protects you if you get a cracked screen. For people in the U.S. who buy HTC smartphones, this will make you feel much better should you drop your phone and crack your screen. HTC Advantage is a new free program that will automatically come with every HTC One series smartphone sold in the U.S. It begins immediately. It promises that HTC will continue to update its smartphones to the latest version of Android for up to two years after launch. 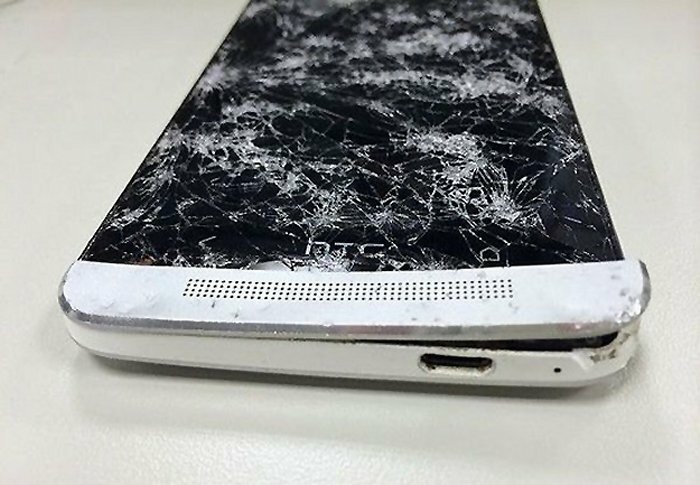 And if an HTC One series smartphone owner cracks the screen on their phone within the first six months of purchasing it, HTC will replace it for free. That’s a pretty sweet deal. Great move HTC. Yet another reason to get an HTC phone.